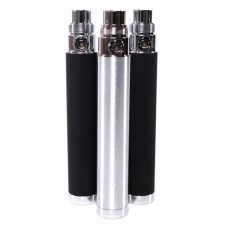 High quality and dependable 510 battery. Push the button to activate the battery. The charging time generally takes around 1-2 hours. The LED tip of the battery lights up when you press the button. Compatible with all 510 clearomizers and cartomizers. The tip of the battery will flash or stop producing vapour when charging is required. To charge, simply screw the battery into a 510 USB charger and connect to your computer or usb wall adapter. Warning: Do NOT overcharge the 510 Battery. The 510 battery must be treated with care. Be mindful when charging, do not over charge or leave the battery on charge over night. Avoid excessive pressure when inserting the battery into the charger as this may lead to cross-threading which is not covered by warranty. Over charging the 510 battery is not covered by warranty. Do not store the battery in a hot or humid environment. Do not drop or puncture the battery. Do not force battery connection to other attachments. Always keep batteries dry and away from moisture. Do not dismantle or expose the battery compartment, this will result in malfunction. If the LED light displays ON continuously or product becomes hot, immediately disconnect the battery from the atomizer to break the electric connection. Lithium batteries can not be sent via Express Post Airmail. All lithium batteries are classified as dangerous goods and cannot be carried by air. Australia Post cannot accept lithium batteries or devices containing lithium batteries for mailing overseas or for domestic air carriage. Parcels containing these items will now only be transported within Australia and by road which can take 1-10 days. This product comes with a 14 day warranty from receipt of purchase. During that time we will exchange in the event of defect not caused by misuse or user originated damage. 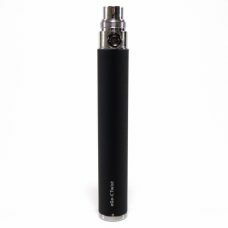 Use of this battery with anything other than a regular 510 atomizer or clearomizer will void the warranty. They are NOT suitable for use with any high voltage devices.